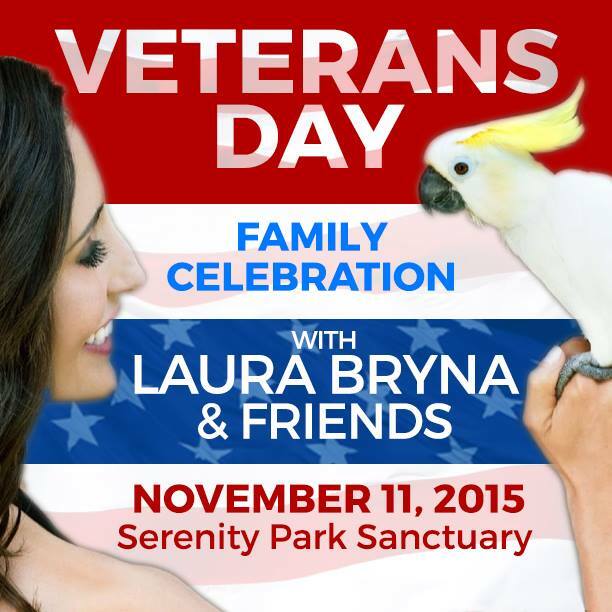 Laura Bryna and her feathered friend, Tyler, sat down with KCAL 9 today to talk about ‪#‎SerenityPark‬, and the big ‪#‎VeteransDay‬ celebration. Learn how the healing environment helps both veterans and parrots. And don’t miss Laura Tomorrow on PGA tour radio’s Golf Talk America at 6:30 am pacific time and head out to the Veterans Day Event.